Everyone loves a gingerbread man. 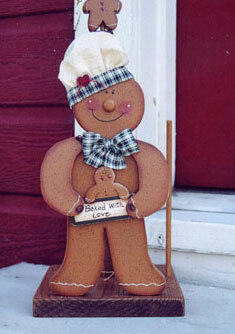 I love to use the gingerbread man design in my crafts. This one was made into a paper towel holder. It also has a small removable gingerbread man on top of the dowel which holds the towels. Crafts were really going strong in my neck of the woods (Texas) in the late 1990’s and early 2000’s. I opened my craft and gift shop in 1997 and did well until late 2001. That was when the craft business bit the dust. I hope someday the customers will return (make it soon, please). Please send me a comment and share your thoughts on when you think crafts will be thriving again. I really, really, really would like to hear from you and hear your predictions on the future of the craft business. 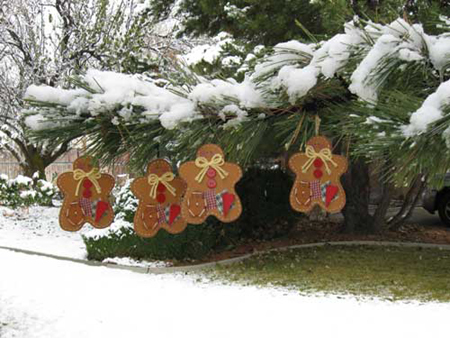 This entry was posted in Painted wood crafts and tagged crafts, gingerbread man, hand painted on Wednesday, June 8, 2011 by Betty.